This newly expanded 18’ climbing wall located at Stelly’s Secondary School just north of Victoria was completed in December of 2011. 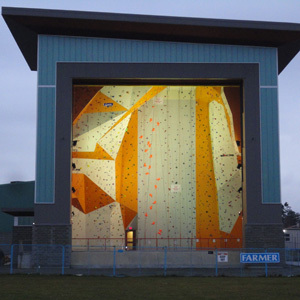 It has been recognized as a world class facility, the new home to events like the Western Youth Climbing Championship, and future events such as the 2013 World Climbing Championships. Participation in this project is another example of our commitment to building community. Pemberton Chapel at RJH is an interdenominational chapel built in 1909 and became “landlocked” after the completion of Royal Jubilee’s Diagnostic and Treatment Facility in 2003. The Nurses Alumni Association spearheaded the drive to solicit the chapel restoration and building breezeway project costs and Farmer agreed to manage this venture, contributing together with their partnered site subtrades and suppliers $310,000.00 of the $500,00.00 budget. 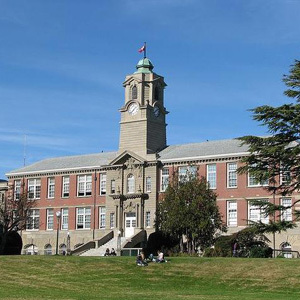 A yearlong exterior restoration of the 1913 Young Building at Camosun’s Lansdowne campus was completed in the fall of 2000 and the work recognized in 2001 by the Heritage Society of British Columbia for outstanding achievement in heritage conservation as well as receiving the Hallmark Society’s Louis Award. 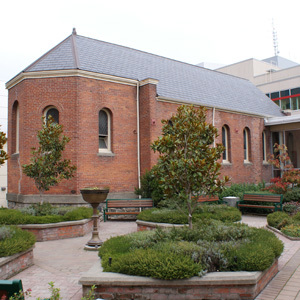 The exterior brick and sandstone was replaced by reinforced concrete, fiberglass wrap seismic upgrading and re-installation of the masonry cladding. The original sandstone was replaced with replicated manufactured cast stone. 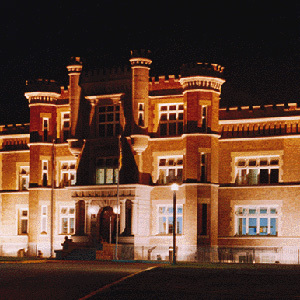 Originally constructed as a mental institution, this 1913 building was later converted to a correctional facility. Farmer was contracted by the BC Building Corporation to demolish the entire internal structure while ensuring the original exterior façade remained intact. Farmer built a new reinforced concrete structure within the walls and restored the exterior masonry and sandstone façade.